This blog features all of my current published writing projects. Creative Screenwriting magazine. Please see my most recently published articles about screenwriter Bill Broyles Jr. and movie producer Dana Brunetti in Creative Screenwriting magazine. Elmore magazine. Please see my live concert reviews Folk Uke, Hector Ward and Guy Forsyth in Elmore magazine. Also see my CD reviews of Judy Collins’ Both Sides Now: The Very Best of and Annie Lennox’s Nostalgia on Elmore magazine’s website. Americana Rhythm Music magazine. Please see the article that I wrote about The Derailers for the Americana Rhythm Music magazine. The Alternate Root magazine. Please see my interviews with musicians, singers and songwriters: Paul Thorn, Christina Albert, James Hand, Marcia Ball, Shelley King, from The Alternate Root magazine home page. Austin Food magazine. Please see the article I wrote about Aaron Franklin, owner of Franklin barbecue for Austin Food magazine Oct. 13, 2015. Austin Fusion magazine. Please see my articles I wrote interviews and took photos of Neil Young, Marie Presley, Dale Watson, the Jitterbug Vipers, Two Beards Theater Troupe, and the Greezy Wheels band before the magazine became defunct. Austin Monthly magazine. Please see the article I wrote “Honky Tonk Haven,” about the 50th anniversary of Austin’s oldest and most authentic dancehall, the Broken Spoke, for Austin Monthly, printed in the November 2014 issue. I also wrote about the Saxon Pub and proprietor Joe Ables’ plans to relocate for Austin Monthly June 1, 2015. Fiddler magazine. Please find a link to my published article about Mary Egan-Hattersley, that appeared in the summer 2014 print issue of Fiddler magazine. Oak Hill Gazette neighborhood newspaper. Please also see my articles about the the Sunset Valley Boys band, Austin’s ‘Tour de Hives,’ Bowie High School’s Teen Rescue group, Luminations at the Lady Bird Wildflower Center and an article about the Girl Scouts of America cookie drive as they appeared in2013-14 issues of The Oak Hill Gazette neighborhood newspaper. Texas Highways magazine. Please see my article about the history of Texas roller derby that published in the January 2017 issue of Texas Highways magazine. 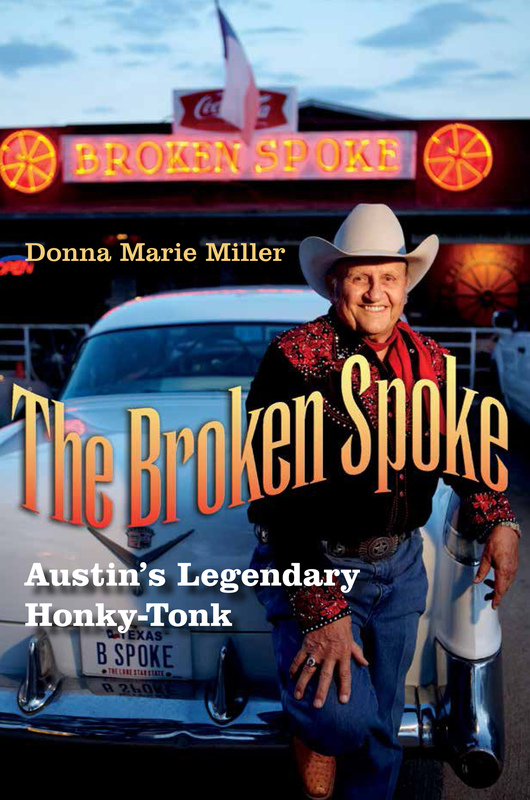 NOTE: I have also written a nonfiction book, The Broken Spoke: Austin’s Legendary Honky-Tonk, published by Texas A&M University Press April 22, 2017. My writing career spans four decades writing, of which I spent nine years writing for three Texas newspapers: The El Paso Herald-Post, 1978-79; The Amarillo Globe-News, 1979-1984; and The El Paso Times, 1989-1993. I also formerly free-lanced for Austin’s former Third Coast magazine in 1983. In 2013 I retired from teaching journalism and broadcasting at the secondary school level for 24 years in the Amarillo, Austin, Eanes, El Paso, and Manor school districts throughout Texas.